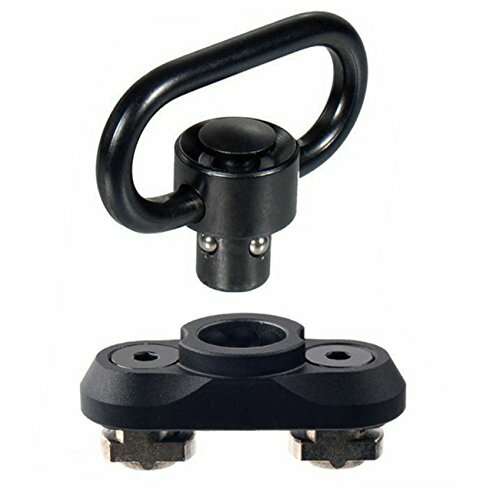 Aircraft grade Aluminum M-Lok Adaptor Base and High-tensile Steel QD Sling swivel. Be able to Put M-Lok Attachments Anywhere You want lockdown Nice and Secure. Attached Securely to M-lok Hand-guard Rail-Machined Precisely Fits Standardized M-lok Interface Mounting Holes and Come with High Strength Steel M-lok t-nuts,screws. If you have any questions about this product by CRUSHUNT, contact us by completing and submitting the form below. If you are looking for a specif part number, please include it with your message.